CHICAGO – Two months ago, producer/director/cinematographer/editor Gordon Quinn received the Baadasssss Award from the 2016 CIMM Fest, for his longtime contributions to the cinema scene in Chicago through Kartemquin Films. The famous production house, known for their documentaries, is celebrating their 50th anniversary. 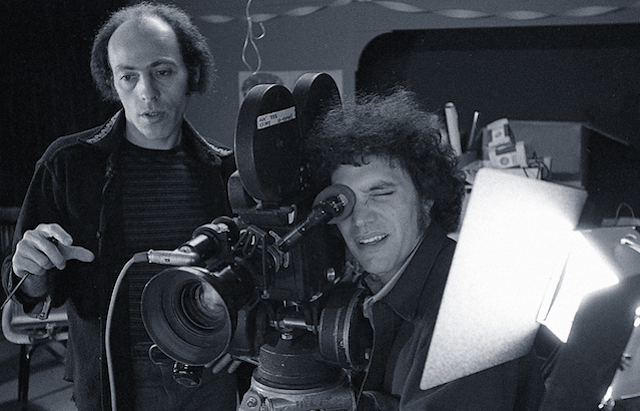 Kartemquin began in 1966 when three newly minted University of Chicago grads partnered to create socially conscious films, and took part of their names – Stan KARter, Jerry TEManer and Gordon QUINn – to form Kartemquin Films. Towards the end of the 1960s, Karter and Temaner had moved on, and the late Jerry Blumenthal stepped in to become the de facto fourth founder. 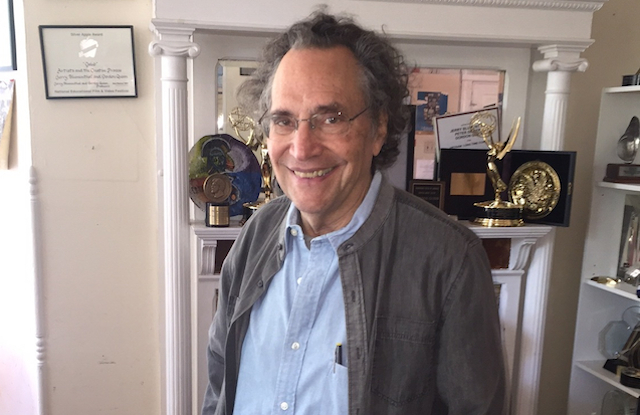 It is Gordon Quinn that remains after 50 years, and he is the standard bearer for a film company that seeks to be a home for independent filmmakers who develop documentaries that deepen our understanding of society through everyday human drama – focusing on people whose lives are most directly affected by social and political change, and who are often overlooked or misrepresented by the media. 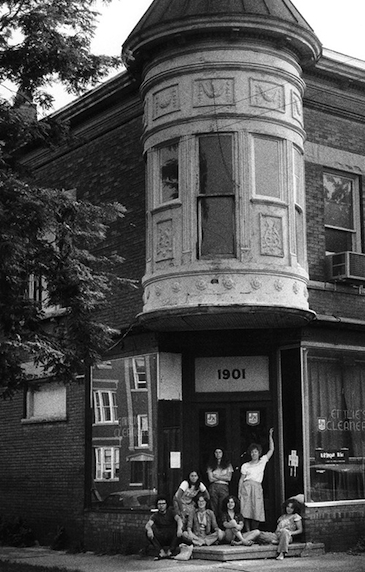 Beginning with the film “Home for Life” (1967) – which was praised by the Chicago Sun-Times new film critic, Roger Ebert, and given the Best American Film Award at the 1967 Chicago International Film Festival – Kartemquin Films has explored its philosophy in documentary films and series as diverse as “Marco” (1970), “Now We Live on Clifton” (1974), “The Chicago Maternity Center Story” (1976), “Golub” (1988) and culminating in their Academy Award nominated “Hoop Dreams” (1994, directed by Steve James, produced by Gordon Quinn). But that was just a crossroads, because the journey continued with “Vietnam, Long Time Coming” (1998), “Stevie” (2003), the award-winning PBS series “The New Americans” (2004), “The Trials of Muhammad Ali” (2013) and “Life Itself” (2014, the Roger Ebert biography). HollywoodChicago.com sat down with Gordon Quinn, to gather his perspectives on the 50th Anniversary of Kartemquin Films, but also to talk about the roots of their philosophies and Quinn’s interaction with that history. This is Part ONE of a three-part overview celebration marking the 50th year, which culminates on Friday with the Anniversary Gala on June 24th, 2016. For details, click here. HollywoodChicago.com: Instead of talking about the particulars of the founding of Kartemquin, what was the political attitude of you and your co-founders in forging a new voice, and how did that reflect the politics of the time? Gordon Quinn: We had all been politicized by the civil rights movement. Coming out of the University of Chicago, where we had been studying literature and philosophy, we had this idea that a style of filmmaking – recording-reality-as-it-unfolds – had a role in democracy. All of our early films are influenced by that philosophy, like ‘Thumbs Down,’ ‘Inquiring Nuns,’ ‘Home for Life’ and ‘Marco.’ They all had a political dimension, but the political dimension is not embedded in the surface. It came out of the people’s lives that we were profiling. By the end of the 1960s, two of the original founders - Stan Karter and Jerry Temaner - had moved on, and Kartemquin became me and Jerry Blumenthal. In essence, he was the fourth founder, but we weren’t going to change our name to ‘KartemquinThal.’ [laughs]. We were also associated with another production house, so we were making some money, which allowed us to keep making our films. HollywoodChicago.com: What story or happening do you think defined that era of Kartemquin? Quinn: Two women came by, Jenny Rohrer and Sue Davenport, with their film-in-development, ‘The Chicago Maternity Center Story.’ That was the genesis of the collective. It was the late 1960s, and we were all becoming much more politicized. At that time, we were heavily influenced by the women’s liberation movement and other civil rights groups that were emerging, so the collective started to work with these movements that were rising up. We were making films that were part of that revolutionary process. We were politicized with what was happening around us. HollywoodChicago.com: In researching your history, I came upon a comparison that you made in the early days, that Kartemquin sounded a lot like Sergei Eisenstein’s classic 1925 film, ‘Battleship Potemkin.’ What films besides ‘Potemkin’ had influenced the Kartemquin philosophy? Quinn: The film that blew my mind was a short documentary from the early 1960s called ‘Happy Mother’s Day’ [directed by Joyce Chopra & Richard Leacock]. It was pure cinema veríté, about these quintuplets that were born to this North Dakota family, and they were famous internationally. The initial intention was to go and make a film, sponsored by the product Pet Milk, about all the wonderful things that were happening to the family. But the opposite was happening - the family was being manipulated and inundated by this attention, and they wanted everyone to go away. That’s the film they made. What excited me about that, was going into a situation and filming reality as it is unfolding, and not knowing the story. You don’t know what is going to happen or what will eventually be your story. You have to find the story, and figure out culturally what is going on. It goes along with a core philosophy…make films about people you respect and like. It doesn’t mean that all the characters are likable, but I’m not looking down their nose at them. We’re trying to engage people to look at somebody’s story, and connect to them in a human empathetic way. HollywoodChicago.com: Which one, of the films you were directly involved in, feels most like that empathy? Quinn: One of the best is ‘Stevie,’ directed by Steve James. Steve was a Big Brother to this boy in the title when he was eight years old, and 20 years later he follows up with him as an adult. Stevie lives in rural poverty, was abused in foster care and really had a tough life up to that point. Steve was making a film about reconnecting to this now grown-up kid. In the midst of making the film, Stevie was arrested for molesting his niece. It became a very different film, but we stuck to the story, and we wanted the audience to hold him accountable for what he did. But we still wanted the empathy to be there, and to be real. We want to hang onto the contradictions and get people to engage. HollywoodChicago.com: Your association with Chicago and the film scene here was cemented with your very first film, “Home for Life,” where a young Roger Ebert heaped praise and a fledgling Chicago International Film Festival gave best American film of 1967. Do you think the evolution of the Chicago film scene has evolved for the better since those heady times, or are we still looking for a sense of identity? Quinn: The film industry in Chicago is much bigger now than when we were beginning. We were just young post graduates when we started, but I have always found Chicago to be a very collegial town. Yes, there is competition, but people are there to help each other. I often had to work on commercial projects to pay the bills, but I would also disappear from that arena for a year when I went to make a Kartemquin film. When I was done with the film and needed money again, I would call up the people I worked with before and then would always take me back. In other cities, I’d be dead to them. Chicago is a very human place to live, to run an organization, and always seems there to help us. HollywoodChicago.com: You’ve stuck with the city for all these years, despite international fame. What was behind your intuition to stay here? Quinn: We made a pact in the early days to be committed to Chicago and the Midwest. There was always a temptation to move, given financing resources, but we wanted to be here. We are now Midwesterners and we want to tell Midwest stories. For example, we did a six part project for the [now defunct] Al Jazeera Network about low wage workers, which was national in scope. Two of the stories came from Chicago, because we’re here. It’s been good for us to be in a city that we have found supportive. For example, the Chicago PBS station, WTTW, is running a 50th Anniversary retrospective and showing one of our films every month – some that never even got a showing in Chicago when they were originally made. Chicago is a city of neighborhoods, and in our part of it we were able to live here and make our films. The City of Chicago is honoring Kartemquin Films with a museum exhibit at “Expo 72,” 72 East Randolph Street, through August 20th, 2016. Click here for details. For more information about the 50 Anniversary Kartemquin retrospective on WTTW PBS Chicago, click here.